How to make a calculus in JMP? 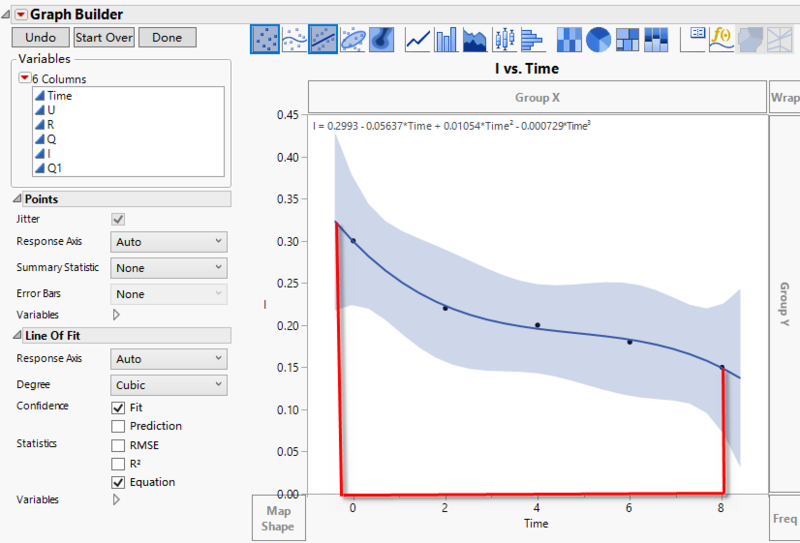 There is a two dimension of data, for instance, current and time, then in JMP Grapher, we can plot a curve and fit it smooth, for detail, please see photo below. How much electric quantity will be? that means I'd like to know how to calculate the area under the curve? in mathmatic , how to make a calculus in JMP? See Help > Scripting Index and search for Integrate function. This function performs numerical integration of your expression (fitted model). Use the Help button in the index to get more information about this function. Likely you will need to save the fitted model as a new column formula and then use a short script to extract the expression from the formula and use it as an argument to the Integrate() function. Here is a simple example of @markbailey's suggestion.